PURPOSE OF THE JOB The purpose of this position is to promote public safety and reduce recidivism and disparity among offender populations as well as to analyze and interpret State and Federal laws, statutes, codes, and rules to ensure compliance by Court Administration personnel. 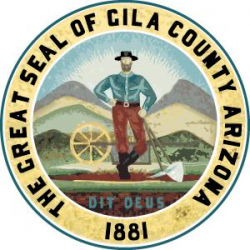 This position is responsible for court administration in Gila County. Additionally, this positions assists in the management of administrative functions of the Limited Jurisdiction Courts in Gila County. The role develops recruitment, management, human resources, budgetary processes, and policies and statutes. Other duties include enforcing disciplinary actions, publicity, collaborating with stakeholders and managing the administration of indigent defense. Regularly assigns work to other employees and supervises related activities. Makes final decisions on hiring employees; discharging employees; scheduling work hours of employees; evaluating performance of employees; handling employee grievances. Provides recommendations on employee training; granting time off; employee promotions; employee salary increases; disciplinary actions; coaching; managing assistants and managing supervisors. • Manages court's accounting functions; effectively develops and manages budgets, including multiple sources of funding; applies for, manages, and reports on special funding for courts both in Superior and Justice Courts. Evaluates and analyzes recruitment, management, human resources, and budgetary processes, evaluates statistical data related to efficiency and effectiveness of operations and plans, manages, and performs special projects as requested. Develops long- and short-range goals; plans, and organizes activities of judicial staff; hires, trains, evaluates, and disciplines employees. This position reviews, edits and provides recommendations on the preparation of countywide and elected officials' budget. Reviews, approves for submission and presents departmental, team and project-related budget. Initiates, communicates, reviews, approves project resources and communicates results of organizational planning projects; organizational development; quality assurance and process improvement projects. Provides project resource allocation on pre-approved resources on projects involving technology; capital development; human resources projects; and employee training and development projects. This position trains colleagues, explains County procedures or processes, responds to public inquiries, participates in meetings, gives presentations, moderates gatherings, speaks with the media, negotiates or persuades and may provide advocacy before the courts or other tribunals. This position creates or edits documents, internal memos, emails, formal letters and ordinances for public release. Interacts extensively with employees, the public, Board of Supervisors, regulatory bodies, and other Institutions over the telephone, by email, and/or in person. Bachelor's Degree in Business Administration, Public Administration or Judicial Administration or related field. Seven (7) years' experience in Court Administration, including five (5) year's supervisory/management experience; or an equivalent combination of education, training and experience. Administration and management, public safety and security, law and government, Federal, State, Local laws, regulations, statutes and court administration. Judicial procedures and rules of evidence; principles, practices and legal requirements for the management. Principles and practices of budget development and administration; techniques for dealing with a variety of individuals from various socio-economic, ethnic and cultural backgrounds; County administrative policies and procedures; Arizona laws, orders and regulations governing probation services; legal, ethical and professional rules of conduct; local community resources and various community services programs; principles and practices of social and correctional case management; psychological, sociological and cultural influences on interpersonal relationships and human behavior; Arizona criminal and juvenile justice system; principles of record keeping and case management. Active learning, active listening, critical thinking, communicating diplomatically, persuading and influencing, problem solving, analyzing systems, multi-tasking. Planning, administering and evaluating program activities, assessing and prioritizing multiple tasks, projects and demands; and making appropriate decisions, while assuring compliance with department goals and objectives; effectively directing operations and delegating tasks and authority; analyzing complex issues and developing solutions; working as a team member with other law enforcement and multi-jurisdictional agencies; supervising, training and evaluating staff; working within deadlines to complete projects and assignments; interacting with people of different social, economic, and ethnic backgrounds; preparing clear, comprehensive, and accurate reports; effectively communicating in written and verbal forms; dealing successfully with a variety of individuals from various socio-economic, ethnic and cultural backgrounds. Ability to express one's self orally, generate fluent new and useful ideas, solve problems sensibly and swiftly, multi-task, react in a calm and timely manner; to define problems, collect data, analyze information, and make logical conclusions based on facts; make decisions on caseload management in accordance with laws, regulations and policies; deal with cases which may be controversial or sensitive in nature and maintain confidentiality; operate a personal computer and specialized software applications. • Routinely stands to present. • Constantly requires dexterity for keyboard operation. require sitting for extended periods of time; frequent use of computers and standard office equipment; may work under stress of deadlines; may require mobility to attend meetings. Incumbents in this position may become exposed to individuals with high level of emotional distress; bloodborne pathogens and communicable diseases. Incumbents in this position are required to constantly follow written safety procedures and manuals relevant to the division or department. Potential errors can have legal ramifications, loss of funding, loss of organization's credibility.